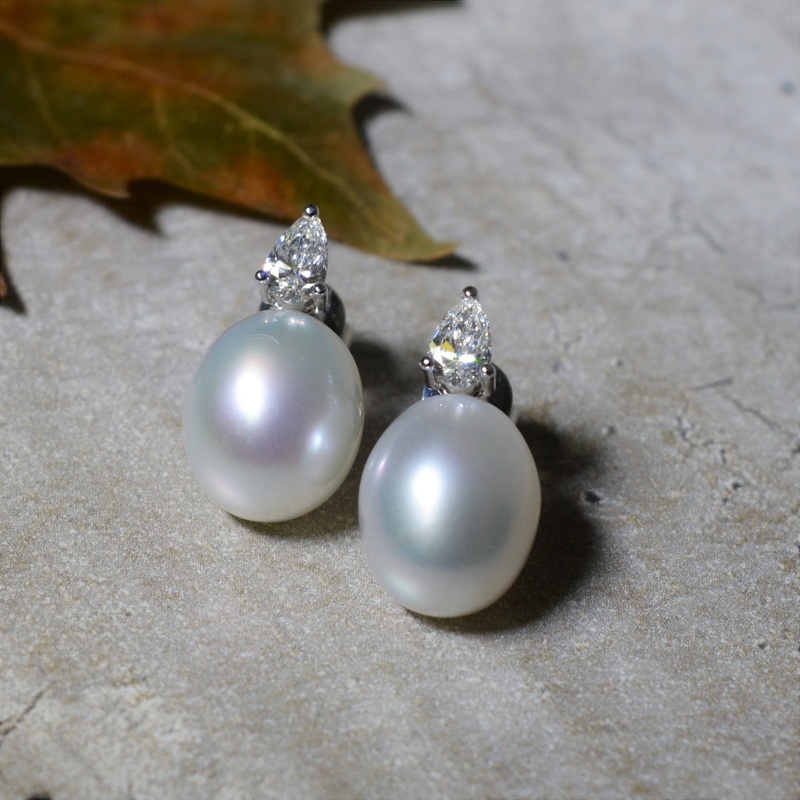 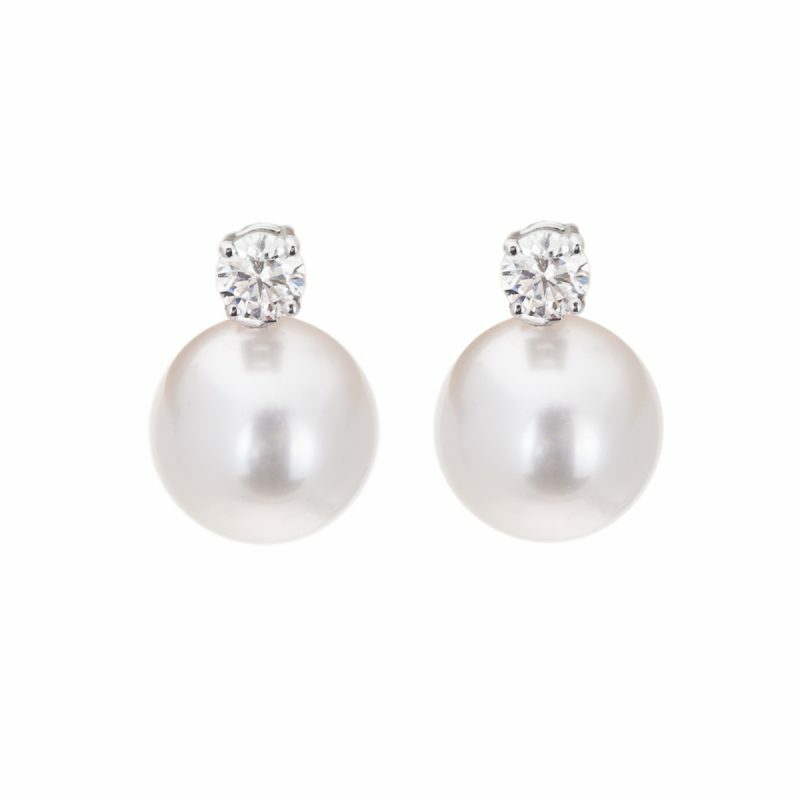 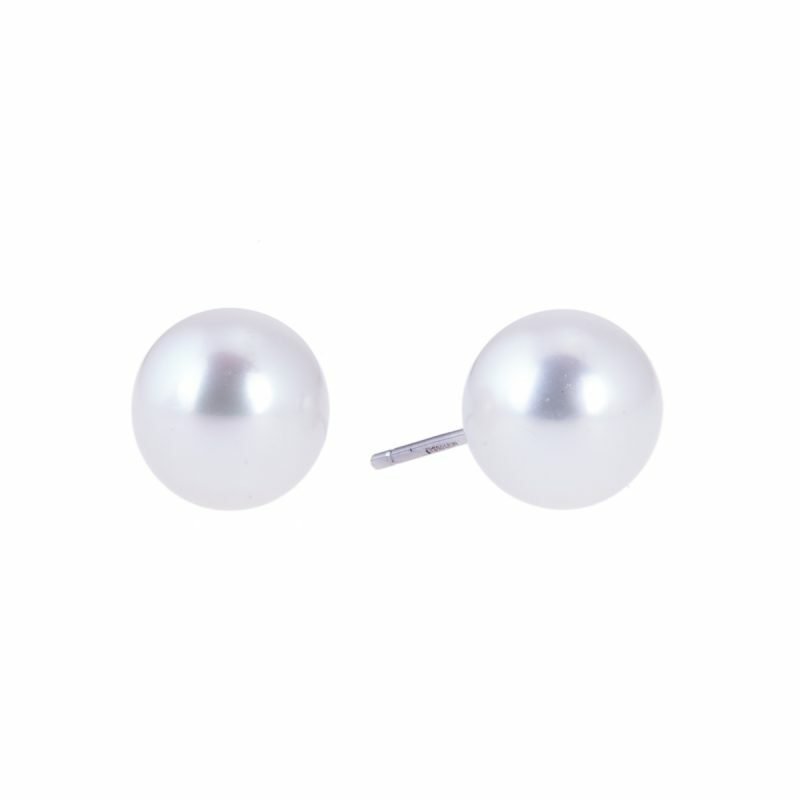 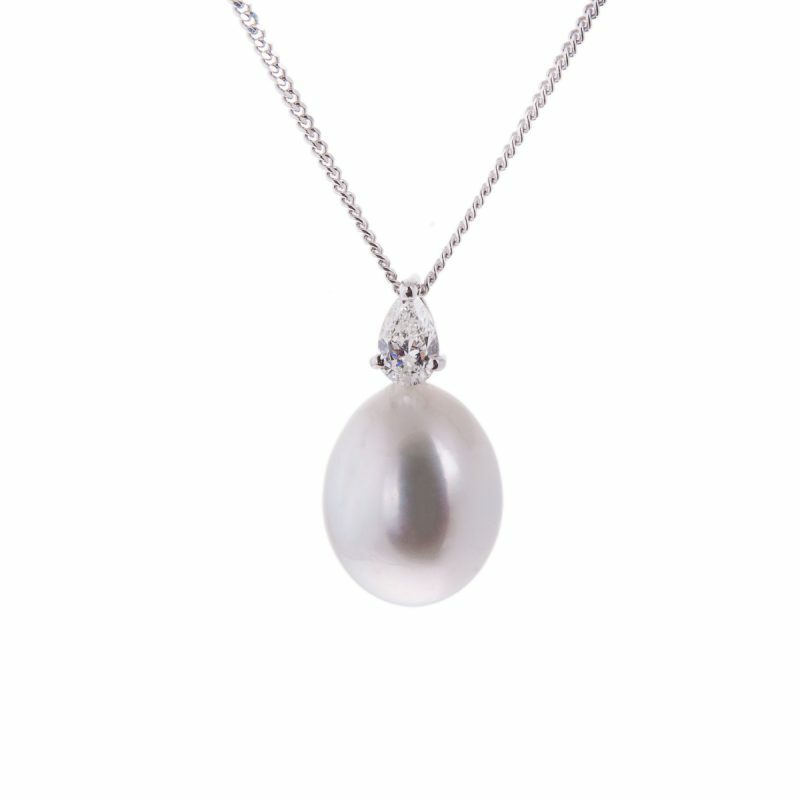 A timeless symbol of purity and hope, these 18ct white gold South Sea pearl drop earring each mounted with a pear cut diamond are beautiful to wear. 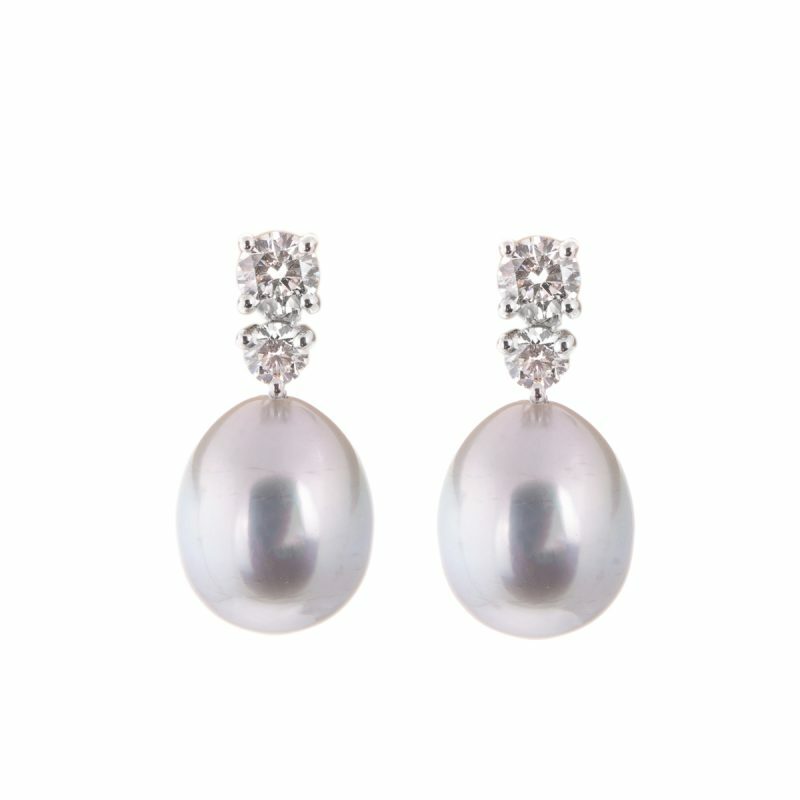 Loved for their glowing lustre and delicate colours these stunning earrings will look amazing with any ensemble from the office to a night out on the town. 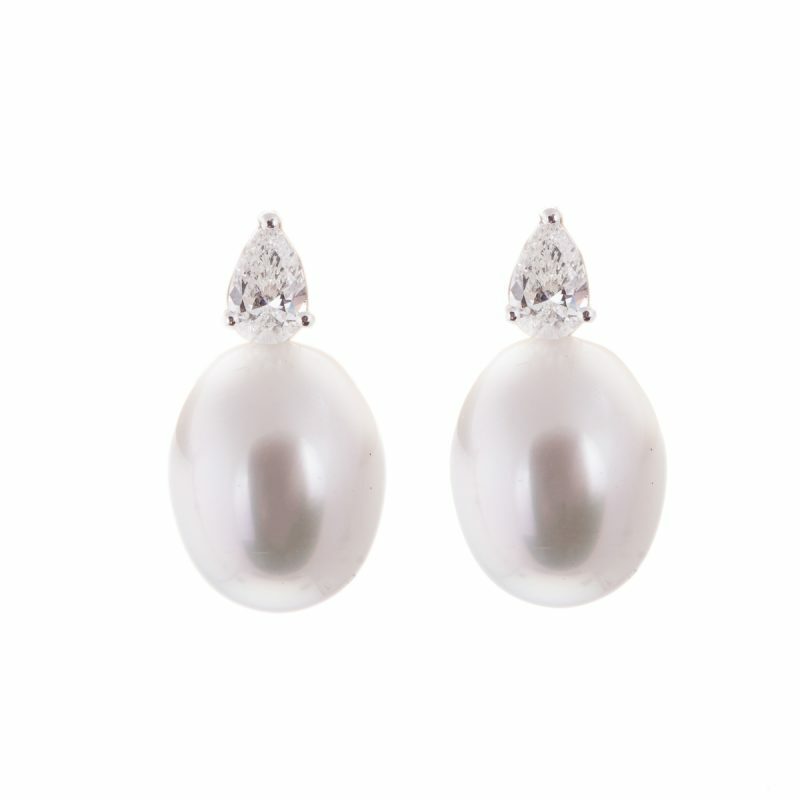 These earrings are complimented by a matching pendant, ref: 52/295.